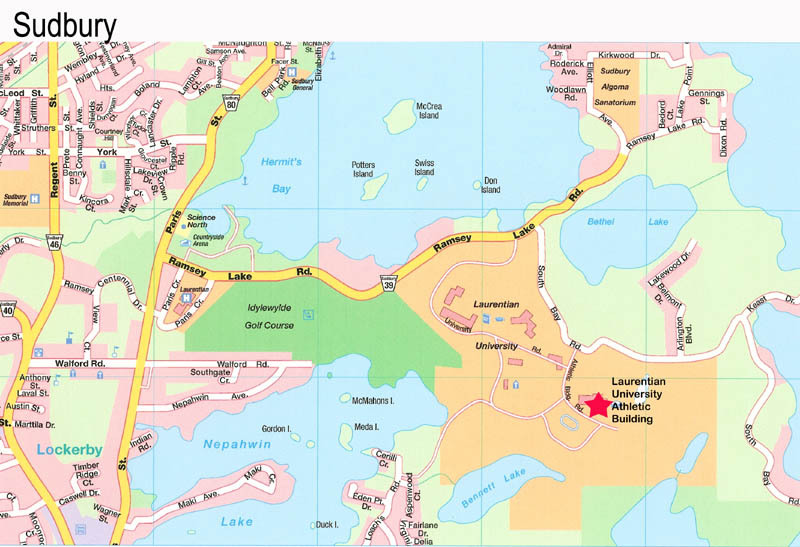 Our runs are based out of the Laurentian University's Athletic Building located on Athletic Building Rd. off of South Bay Rd. Runners meet in the main lobby. We depart at 12:00 pm sharp on Monday to Thursday. We do not have an organized run on Fridays. Winter weekday runs are often indoors on the 200m track at the Laurentian Fieldhouse. Other runs are on the local roads or trails. Mondays are usually run at a more upbeat pace. We may do tempo or pace depending on the participants. We do intervals or tempos on Thursdays at Laurentian's 400m track in the warmer months and on the indoor 200m track in the winter. The Saturday 8:00 am run is our long slow one with distances varying from about one and a half hours and up. Parking at the University is free on weekends and during the school off season (May - August). At other times there is paid meter parking. We also participate in the Running Room 'Run Club Practices' on Wednesday at 6:00 pm.